Come join us this Friday for POW day by way of bus or carpooling with 3 or more people. Some of the first carpoolers to the Wildcat base will be rewarded with swag from @discrete and we will have various prizes to give away along with pizza, beer, music and a party from 2:30 to 4pm! #carpool #skialta #powday2017 #protectourwinters #ski #skiing For more info follow the link in our bio. Salt Lake City is one of the most convenient airports for skiers in the country. From there it’s less than half an hour to Alta. Many private companies provide ground transportation from the airport to Alta, which is a great option if you are staying in the canyon. The Utah Transit Authority (UTA) also has scheduled public ski buses. Once you’re there, you don’t need to worry about a car, as the Alta Town Shuttle makes a continuous loop servicing the Blackjack Condos, the View, Powder Ridge, Superior Point, the Bypass Road homes, upper and lower Sugarplum Village and the Wildcat Base parking area. You have several options when it comes to gear. The Alta Ski Shop and Demo Center has three locations, at Wildcat Base, on the mountain at Alf’s Restaurant and on the mountain at Watson Shelter. At all locations, you’ll find rental and demo packages for alpine, telemark and Nordic skiing. 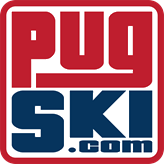 Retail shop, ski tuning, and snowshoe rentals are also available. 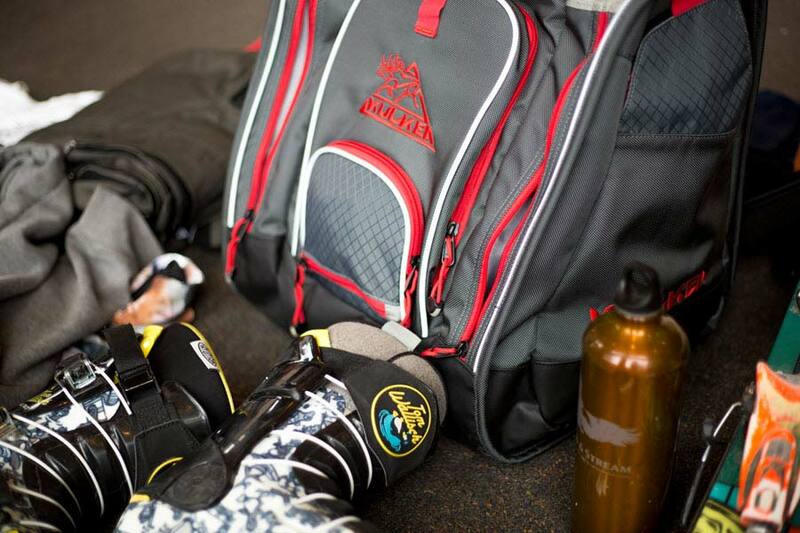 Just off the mountain, you can also find gear from Alta Sports, Alta Peruvian Lodge, and Powder House Ski Shops. Why do families return to Alta Ski Area year after year? It’s the snow. An average of 551 inches (that’s 45 feet 11 inches) of powder snow piles up on Alta’s slopes in Little Cottonwood Canyon every winter. When you book a family ski vacation at Alta, even in March, you’ll never worry that there won’t be enough snow. Take a lesson at the Alf Engen Ski School—choose from a group lesson for your family or a private lesson—and learn how to ski the powder or take your skiing to the next level no matter what your abilities are. Then get out and practice your new skills. Albion Basin, with its huge variety of terrain, is ideal for learning to ski. Take the Sunnyside lift on the lower mountain for beginner practice runs like Patsey Marley and Crooked Mile. Intermediate skiers can try the Race Arena and Blue Bell trails, while advanced skiers head down steep Vail Ridge, a powdery run through trees. For untracked powder higher on the mountain, take the Collins lift up first thing in the morning and traverse west into The Ballroom, an open bowl below Mount Baldy’s summit pyramid. If it just snowed you can make wide turns through pristine powder in the bowl, and then head down intermediate Main Street to Watson Shelter at mid-mountain. While Alta Ski Area has a well-earned reputation for its black-diamond runs, the truth is that Alta is perfect for a family ski adventure with its huge variety of terrain. Two-thirds of the 2,200 skiable acres in Albion Basin and Collins Gulch caters to beginner and intermediate skiers. The mountain’s 116 runs are 25 percent beginner and 40 percent intermediate terrain, and 35 percent black diamond expert trails, making Alta a great place to learn to ski. Take Alta’s new Supreme high-speed quad lift and ride to the top of Alta at 10,595-foot Point Supreme above Albion Basin for the area’s best mountain views. You’ll find a line of ragged mountain peaks along the northern edge, including Superior Peak, Flagstaff Mountain, and Mount Wolverine, while Twin Peaks and Mount Baldy tower to the west. It’s a dramatic view that you’ll still be talking about next summer. Afterward, pull on your goggles and head down some of Alta’s best terrain. Intermediate skiers love Upper Big Dipper and Big Dipper, Three Bears, and Rock and Roll. Advanced skiers can head down steep No. 9 Express, Erosion Gullies, and Challenger on the west side of the lift, and the classic So Long down steep slopes with drop-offs, moguls, and deep powder on the east side of the lift. Ski season lasts a long time at Alta—and spring skiing will give you some of your best runs of the year. Bring the kids and hit the slopes for classic skiing conditions with deep snowpack and stellar powder days because March is usually one of the snowiest months in the Wasatch Range. In between those epic storms, you’ll find warm, sunny days, and the party lasts until Alta closes for the season in late April or early May. Written by Stewart Green for RootsRated in partnership with Alta. Featured image provided by Photo courtesy of Alta. 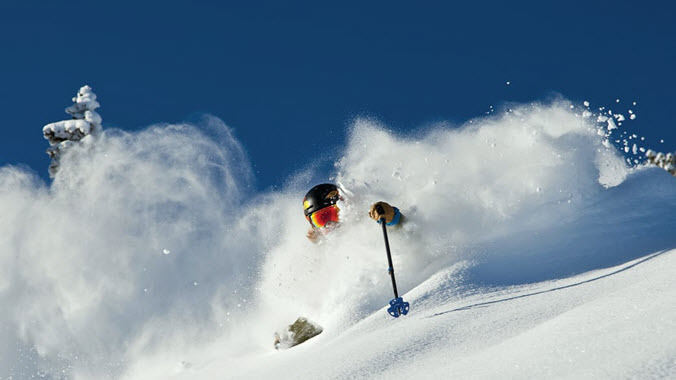 Top 11 Spring Skiing Event Picks 2019. How to Pull off a 100-Day Ski Season with a Full-Time Job. Hiking the Appalachian Trail: Jamie Worcester.